The latest 2010 World Cup results have put the Italian soccer's credibility at stake as they fail to qualify from the group stage despite their defending champion status. Making things much more worse, the Azzurri fail to win a single game on the group which consist of opponents that on paper are weaker than them. That epic failure has slammed the face of the footballing country's soccer federation, resulting the implementation of some new rules and projects to get more quality local players for the Azzurri's future. Starting from today, I will try to capture the current transfer movement in this silly season, which already started despite the fact that the market won't be officially opened until July 1. However, some new signings already arrived for the Rossoneri and rumors keeps on coming to provide plenty early excitement along with unnecessary disappointment from Milanisti. Just as it was expected for quite a while, Ac Milan have officially announced the signing of their two new free transfers arrivals, Riccardo Montolivo along with Bakaye Traore. 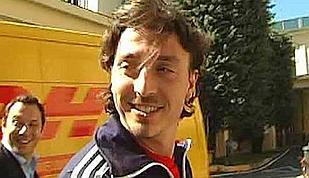 The latter has actually revealed his departure couple weeks ago, but apparently the Rossoneri are waiting for Montolivo to finish his medical test, which happened last Wednesday, before confirming both players' arrival at Milanello as the club's new summer signing. Just as it was expected, Ac Milan's final match of this season send an emotional vibe for all Milanisti especially when Pippo Inzaghi netted his team's winning goal against Novara, in a very classic way just like it was simply meant to be. The veteran striker burst through the offside trap, chested Clarence Seedorf pass, rounding the goalie before slamming his shot into Alberto Fontana's net, making the San Siro crowd roars with joy as the fans were dreaming of such an event to occur. 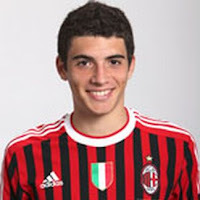 Ac Milan talented youngster, Mattia Valoti, who had a pretty poor injury plagued season, apparently find some joy by the end of season as he is being called up into the Italy u-19 setup along with two other youth players, Rodrigo Ely and also Ricardo Piscitelli. This three players will be used in the Elite round of European under 19 tournament, which sees the Azzurrini facing the likes of Belgium, Spain along with Armenia on Group 7 of the competition. A pretty tough looking drawing indeed for Alberigo Evani's squad, but the three Milan youngsters could very well made their name in the competition. 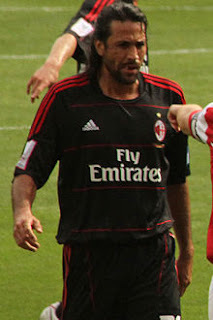 In contrast to the departure trend at Ac Milan, veteran defender, Mario Yepes apparently is extending his adventure in the Rossoneri shirt for another year. Although previously being touted as one of those who could be leaving, but a late twist in the camp apparently has allowed the Colombian international to keep playing with the Red and Black squad since there will be many players leaving anyway by the end of this season. This season is simply ending in a sad way for Ac Milan as not only they failed to retain their Scudetto title but there will be host of senior players leaving by the end of this season. After Alessandro Nesta confirmed his goodbye, another legend, Gennaro Gattuso, followed his path by confirming that he won't be playing again for the Red and Black squad next season. Speaking to the press after a meeting with Milan's vice president, Adriano Galliani, earlier today, Gattuso revealed that he doesn't feel there will be much space for him again at the club, so the midfielder decided to give space for new players next summer. The former Italian international also hinted at retiring by stating that in one year, he will return to Milanello and discuss a possible position at the club, not as a player of course. This decision comes only a day after Nesta confirmed his farewell via press conference on Wednesday, a pretty fast development indeed at the Rossoneri headquarter. Another sad day arrives for Italian football, as one of the best player from the country, Alessandro Nesta has announced his departure from Ac Milan, taking his feet completely out of Serie A. The 36-years-old pretty much confirmed what the papers have been buzzing for the last couple of days, which is deciding to leave the club that he played with for this last 10 years. 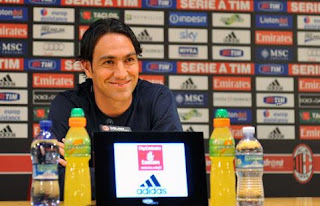 Speaking at the press conference held in Milan, Nesta revealed that with his age it would be difficult for him to play in the highest football level such as Italian Serie A or Champions League again. The former Lazio player also stated that he already made his decision since February and despite there's already an attempt from Ill Rossoneri to keep him for at least another year, the center back refused to change his decision.